Freeze Alert! - 10 minutes and 4 steps to help safeguard your sprinklers from a cold snap. Freezing temperatures are coming! - Follow the instructions below to quickly and temporarily shut down your sprinklers to prepare for a cold snap. We recommend "Blowing-out" your system to fully protect your sprinklers through the winter, but these steps will help protect you from an immediate cold snap. 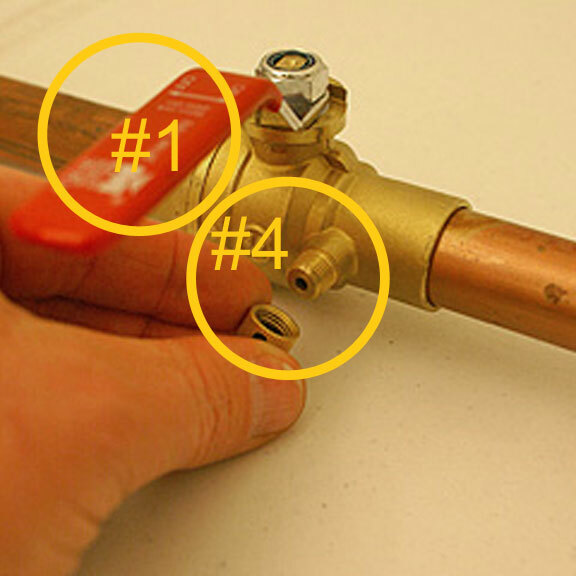 Step #1 - Please turn off the water inside your home by turning the valve handle so that it is perpendicular to your pipe (wait to remove the drain cap until Step #4). 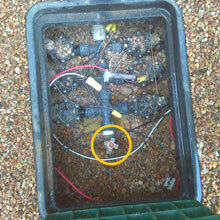 Step #2 - Next, open the manual drain valve in your valve box (if you have multiple valve boxes, please check each one). 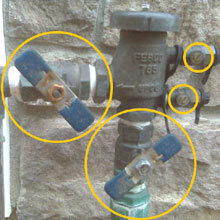 This valve can be either brass or pvc, but is very different from your sprinkler valves. 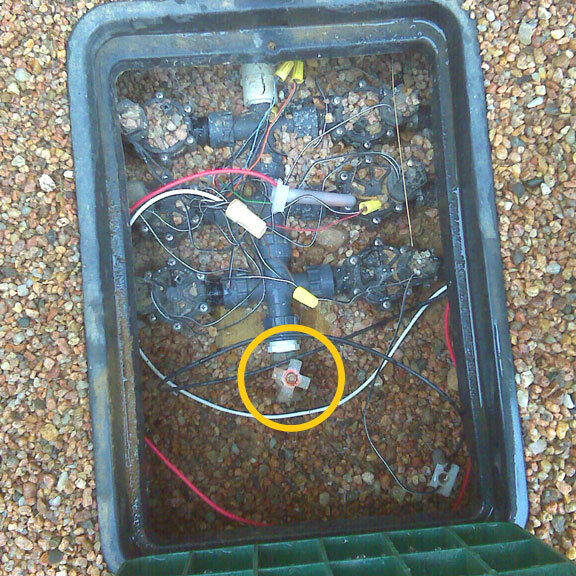 Step #4 - Go back inside with a bucket and drain any residual water in you coper mainline by removing the small cap past the mainvalve shutoff. That's it! Please "Blow-out" your system in the next few weeks. 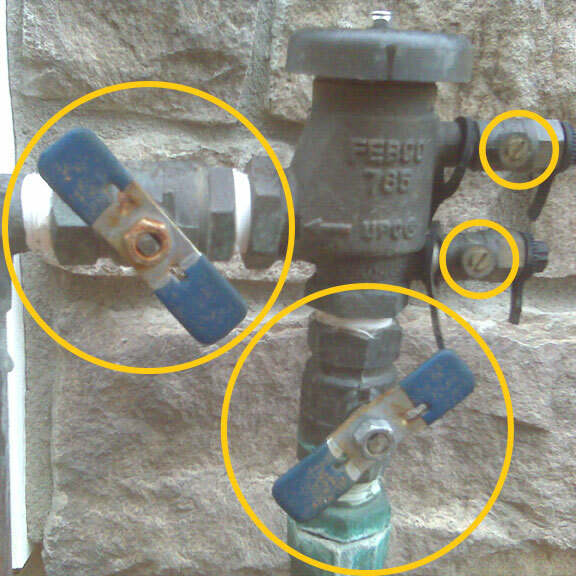 The process above is a temporary measure you can take to help safeguard your sprinklers from a cold snap. This process does not protect your pipes below grade from freezing, therefore we still recommend "Blowing-out" your sprinklers for a winter season. If you have received this email by accident, or if you would like to be removed from future newsletter mailings, please send an e-mail to us at with "Remove from Newsletter Mailings" in the subject line.